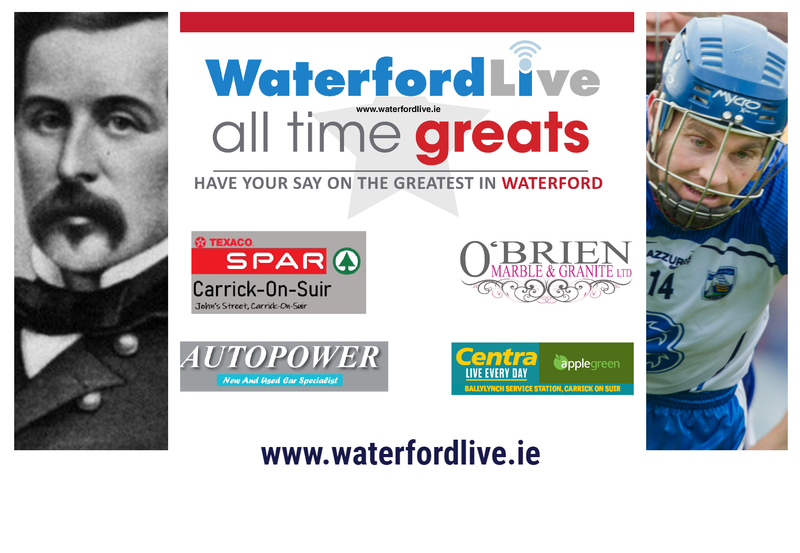 Votes have been coming in from all over the world but now we have reached the semi-final stage of the Waterford All Time Greats, a series of polls aimed at finding the county's greatest ever person. Thomas Francis Meagher and Michael 'Brick' Walsh make up the first semi-final, while John Mullane and John O'Shea contest the second. Waterford's Thomas Francis Meagher was an Irish nationalist and leader of the Young Irelanders in the Rebellion of 1848. After being convicted of sedition, he was first sentenced to death, but received transportation for life to Tasmania. He overcame magician Keith Barry in the quarter-final stage while Brick Walsh beat suffragette Marguerite Moore. Michael 'Brick' Walsh is a hurler of a generation, defining the grit of the Déise throughout the early 2000s. He commenced his 17th season with the Waterford hurlers. He has been a spiritual leader of the team for almost two decades, picking up three Munster titles, two national league titles and four All-Star awards. Two great leaders, one from the world of politics, and one from sport, Meagher and Walsh will now be vying for your votes until semi-final voting closes at 11pm on Thursday, February 14. Vote for Thomas Francis Meagher of Michael 'Brick' Walsh here. On the other side of the draw, John Mullane and John O'Shea have made it through to the semi-final stage. John Mullane is a Mr Waterford hurling of sorts and his white-knuckled brand of passion for his sport and his county has seen him pull through to the semi-final stage. He overcame playwright Teresa Deevy in the quarter-final stage while John O'Shea beat a fellow sporting legend, cycling legend Sean Kelly, following a furious vote. Two great sporting icons of the Déise, one who fist-pumped his way to Munster titles from Walsh Park and Fraher field, and another who won soccer's greatest honours in Old Trafford and beyond. 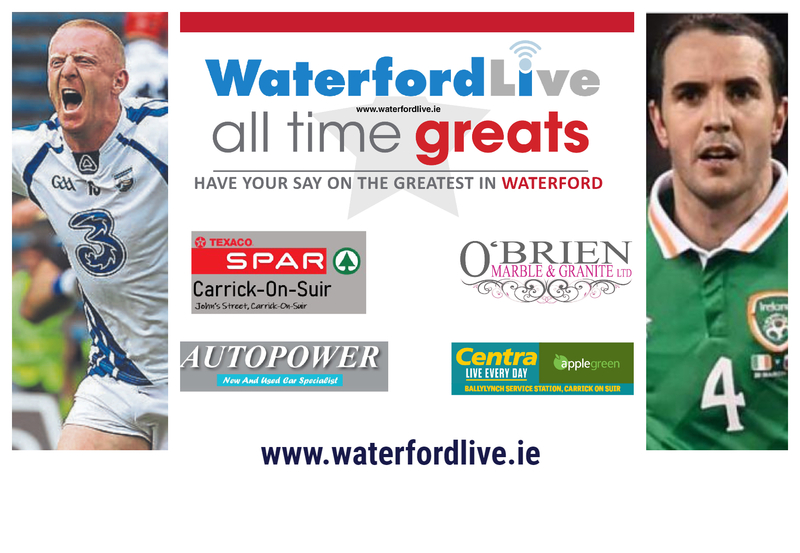 Vote for either John Mullane or John O'Shea by clicking here. All four semi-finalists will now be vying for your votes until semi-final voting closes at 11pm on Thursday, February 14. You can vote in both semi-finals by clicking on the images below.